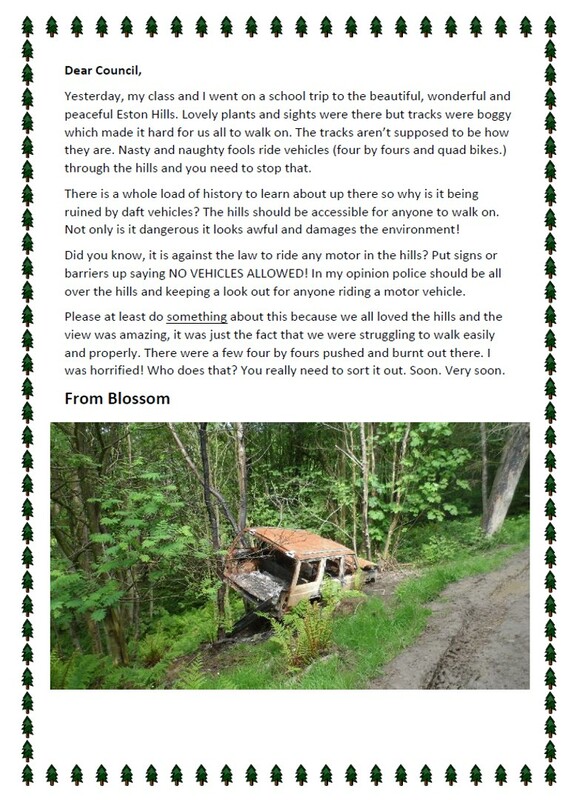 Schools rule when it comes to taking back ownership of the Eston Hills community landscape. The hills belong to all of us – to enjoy, relax in and to explore wildlife and our heritage. 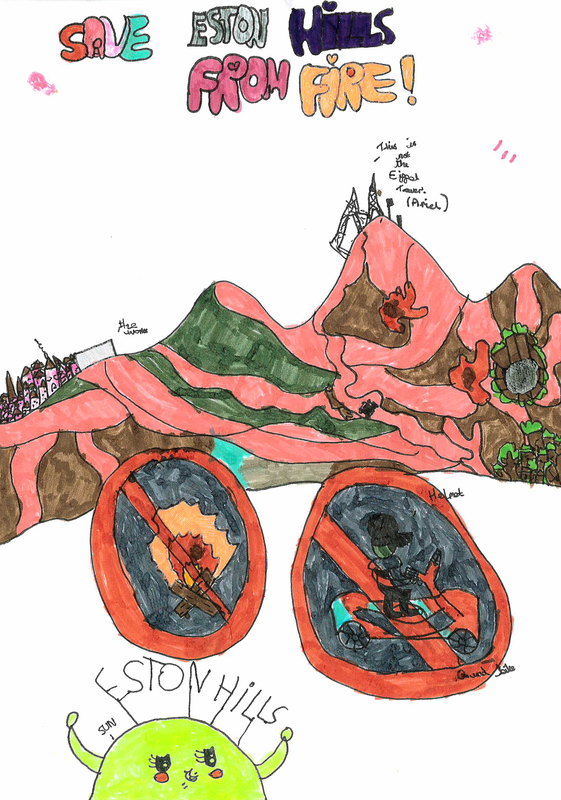 ICE & FIRE‘s Young Artist In Residence, Evie aged 10 (Year 5) from Whale Hill Primary School in Eston has created this fantastic poster: SAVE ESTON HILLS FROM FIRE! 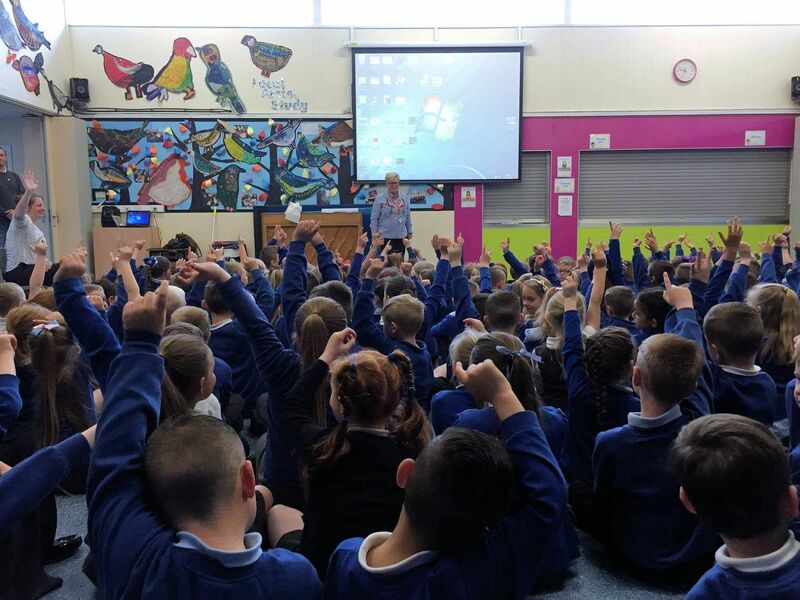 WHALE HILL PRIMARY SCHOOL | PEOPLE POWER! Paul Payne, the new Rural Crime Reduction Officer for Cleveland Police, joined project director Adam Mead and Rita Richardson from the Friends of Eston Hills campaign group in a presentation to children at Whale Hill Primary School in Eston, Redcar & Cleveland. 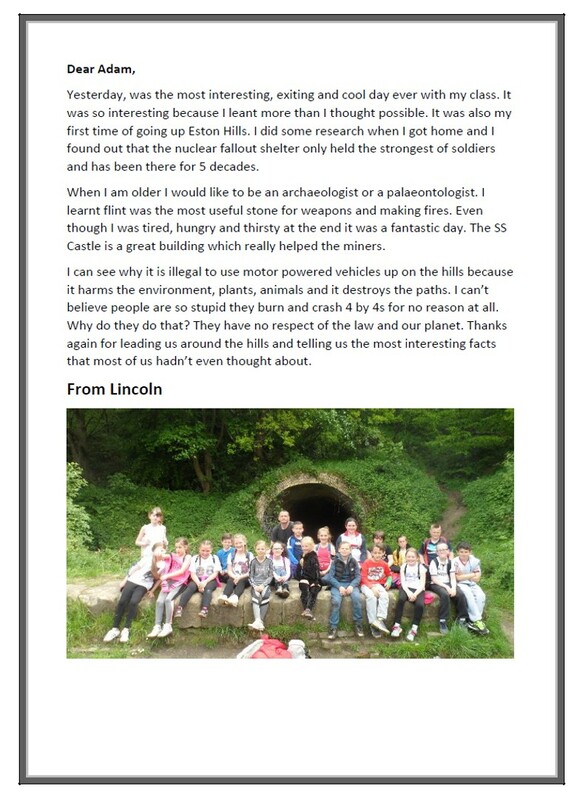 The first of a number of such events, the team highlighted the rich heritage, archaeology and wildlife on their doorstep and the consequences of the fires and vandelism on public safety as well as for the farmers, landowners and emergency services. 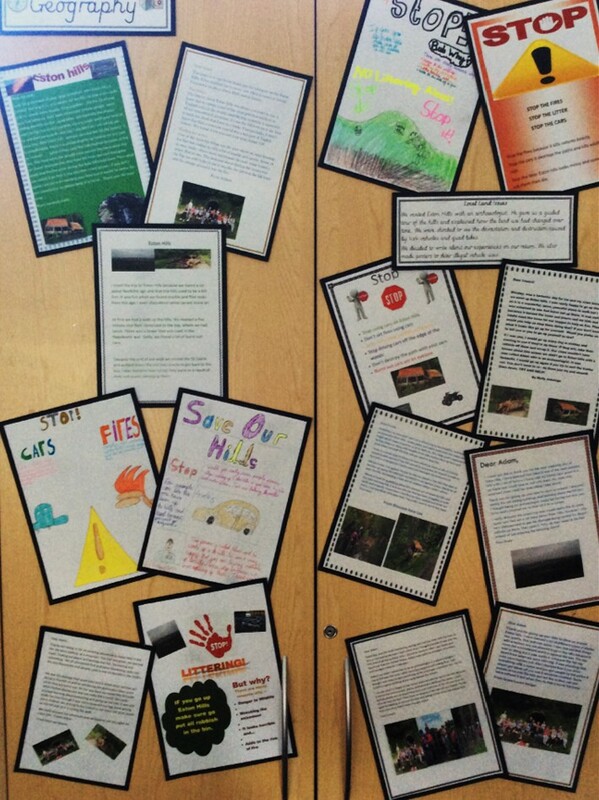 ST PIUS X PRIMARY SCHOOL | SAVE OUR HILLS! 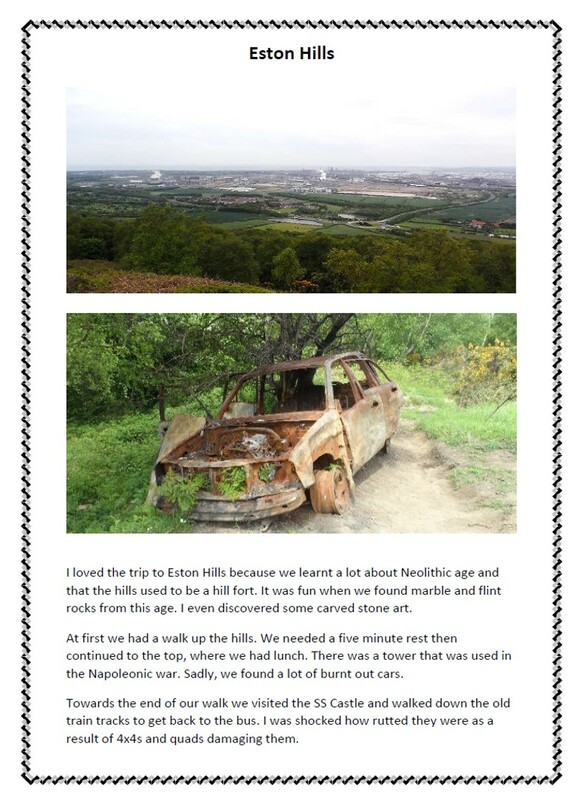 In beautiful weather, schoolchildren from St Pius X RC Primary School accompanied Adam Mead on a visit to Eston Hills. 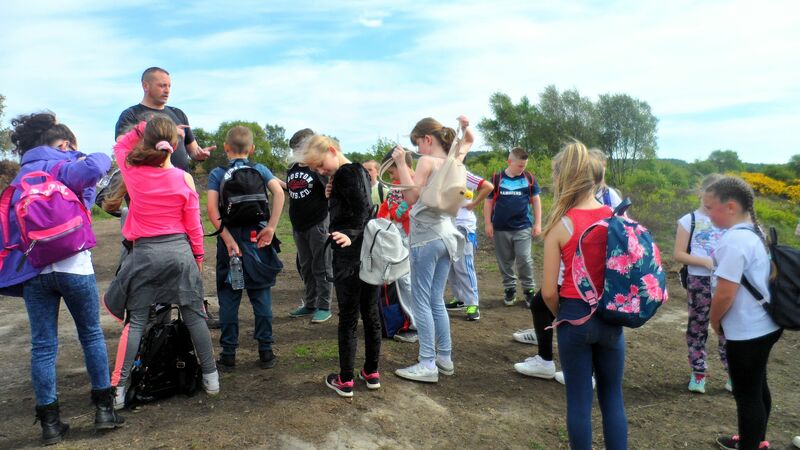 The tour included industrial archaeology as well as areas where stone age flint tools have been recovered near the wetland areas, and where damage from fires and off-road vehicles is still visible. Check out some of the fantastic letters and posters! 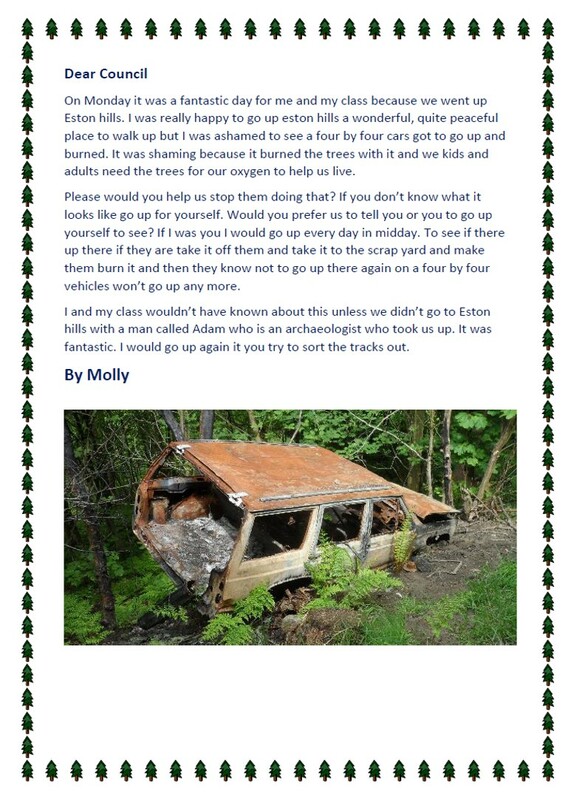 All images are by kind permission of the headteachers.